It’s Topbox time! Once again I opted for a prive box (preselected brand specific box). There was a pretty good selection for prive boxes for April; NeoStrata, Bioderma and I think Philosophy was still an option. But as soon as I saw the NeoStrata box, I immediately clicked on it. Dun and dun! For some reason I am all about skin care right now. Well there is a reason. I want to freshen up my complexion and when I saw the glycolic peel and lotion my mind was made up! NeoStrata can be pricey here in Canada so this sampling is a perfect way to test out the products. Plus I have been using the NeoStrata 5% glycolic toner for the past few months and I love it. NeoStrata Skin Renewal products are ideal for all skin types, uneven dull skin and all ages. NeoStrata does state on their website that it is recommended to build skin tolerance slowly when using products containing glycolic acid. If you experience skin sensitivity, suspend its use for a few days and resume gradually. Ideal quick fix for uneven and dull skin. The glycolic acid will help eliminate the dead cells responsible for the rough skin. This solution contains 10% glycolic acid and 10% gluconolactone, the highest potency available of AHA to achieve results after only 1 treatment. I am little scared of this one but can't wait to try it. I hope it is not too strong for me. Ideal for replenishing skin's moisture. The skin is softer, more comfortable and supple. I think this Hydrating Cream is a great addition to the box. I am really going to need it after the Peel Solution. Moisturizes skin, while exfoliating dead cells on skin’s surface, and maximizing skin renewal. This daily moisturizer helps reveal a smoother, more radiant, and visibly younger skin. YASSSS! I was eyeing this up at Shoppers Drug Mart but since we received a coupon card for London Drugs, I may have to go there for it. Everyone received a 59ml sample of this in their Topbox this month. Hawaiian Tropic was my poolside sunscreen last summer. I like that it waterproof and affordable. It is a staple in my pool bag. This one is going in my purse. I am so feeling this Topbox! I want new skin (well nicer skin) and I hope this delivers. Plus the sample sizes are really decent. Fantastic. Love it! Let’s just hope I don’t have any peeling mishaps. HA! 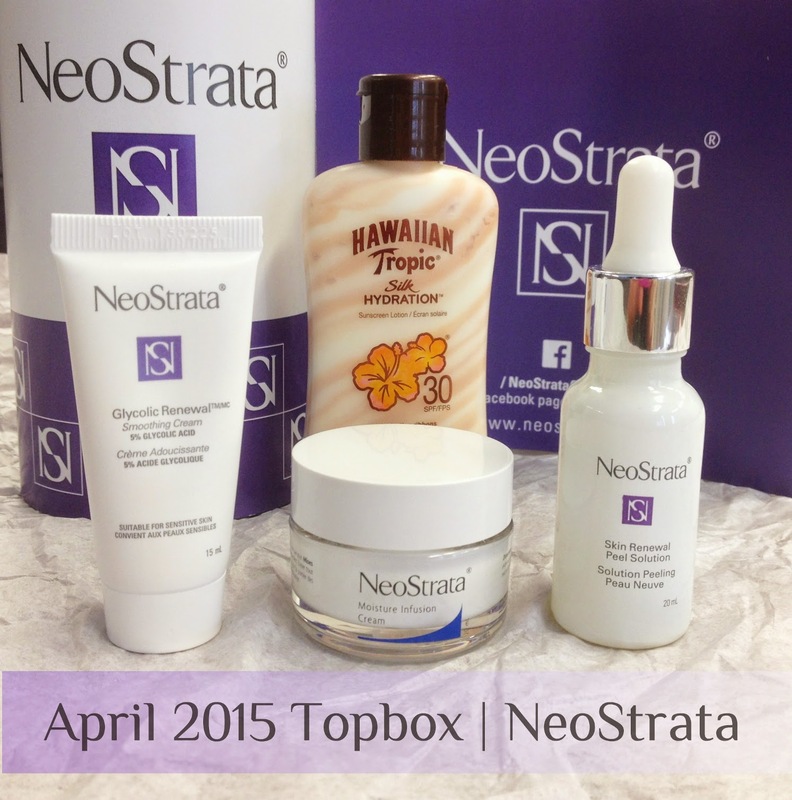 What were your thoughts on the NeoStrata TopBox? 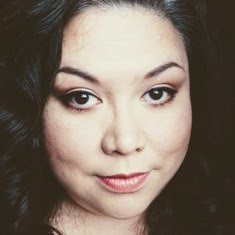 Topbox is a monthly Canadian beauty subscription. For $12 + pst ($13.60), you can have 4 beauty samples sent to each month. Sign up at Topbox.ca. Those are good sample sizes! Hope the products work well for you. I love that sunscreen too!